Yes, I will be doing daily BookTubeAThon updates along with my regular blog posting schedule! I am really excited to share how much reading I accomplish each day, and my quick, snapshot thoughts on the book. I have a SUPER busy week starting tomorrow, but I am still determined to get lots of reading done! 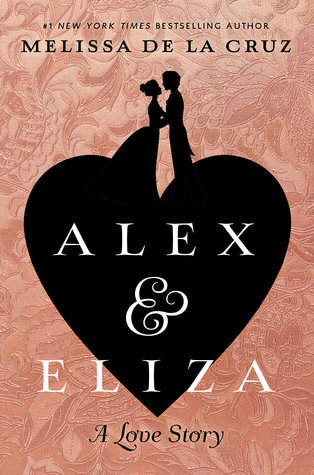 So it is currently 5:30pm for me (but I will quickly update this blog post before I go to bed because I DO plan on reading more today) and about ten minutes ago I completed Alex and Eliza by Melissa De La Cruz. This book was not on my initial TBR, but I got it out from the library and felt like reading it so I did! It was a total of 355 pages and I spent about 4 hours on it. I was excited to read it because it follows the love story between Alexander Hamilton and Eliza Schuyler, and also to learn more history, which I did. But in my opinion, it was kind of slow and did info dumps sometimes, but other than that I did enjoy it and thought it was a fun educational read. Now I am going to take a break, eat some food, do some writing and French and then jump back into read later tonight! Tonight I will be picking up The Wrath and the Dawn by Renee Ahdieh and my goal is to get about 100 pages read before I go to sleep. I also wanted to point out that I am adding more books to my TBR because I realize I can easily read more than three, and also why not add more stress to my week? So I am striving for seven books this week and the extra four are: Alex and Eliza by Melissa De La Cruz (which I have already read), The Raven Boys by Maggie Stiefvater, Six of Crows by Leigh Bardugo and Perks of Beings a Wallflower by Stephen Chbosky! That is all for my quick update on my reading from the BookTubeAThon 2017 and I hope you enjoyed. Don’t forget to comment below if you are participating in BTAT17 and what book you are currently reading. Also, check out my other blog post from today: Camp NaNoWriMo Week 4: Escaping Writer’s Block! Next postBookTubeAThon Day 2 Update! Good luck! Yeah, I am really nervous that I jinxed it by adding a while bunch of more books…Oh well!